A unique corkscrew and bottle stopper gift set for wedding gifts and favours. This unique gift contains a corkscrew and a bottle stopper. 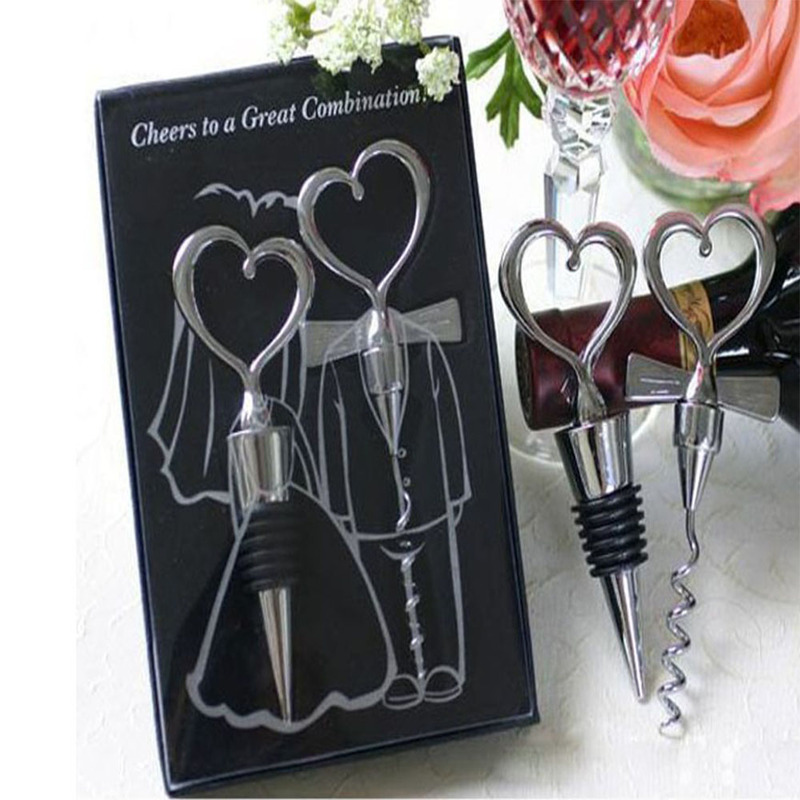 The corkscrew and bottle stopper are beautifully decorated with a heart shaped handle, making them ideal for special occasions.